After overbidding to no avail in the Boston real estate market, we made an unconventional choice. Would our newly constructed home in Roxbury deliver both the comfort and huge energy savings its green builders promised? 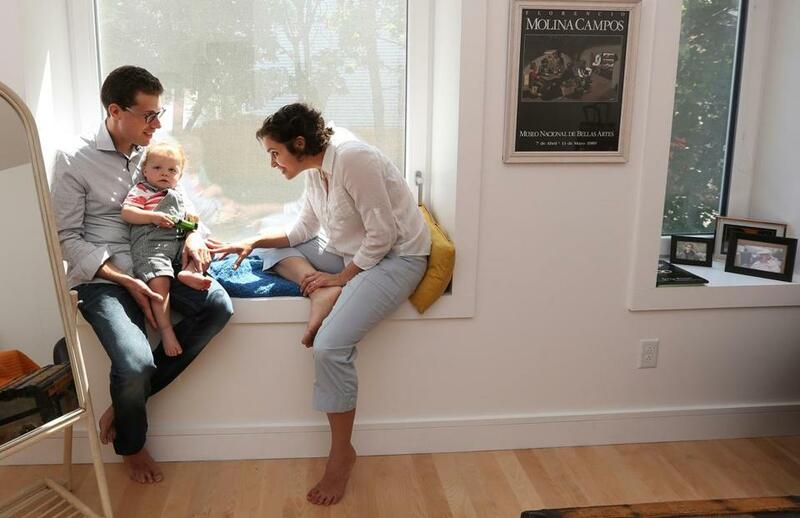 Maria Cramer at home with her husband, Michael Levenson, and their toddler son. We made a mistake, I told my husband. He was at our old condo, seeing to the last pieces of furniture left in the 1,000-square-foot space in Jamaica Plain where we had lived for seven years. I was calling from our new house, a much more spacious three-bedroom single-family home less than a mile away in Roxbury. We had been elated at our find. After searching for months in a white-hot market, overbidding with no luck, we finally had an offer — under asking price — accepted. The house was nothing like what we’d pictured ourselves owning. We were going from a treetop condo in a converted three-unit house to a single-family built to the standards of a passive house, a type of energy-efficient home popular in Europe that is starting to make inroads in the United States. I had been looking forward to moving in since we’d bid on the property in December. Three months later, I was stuck on the front porch after darting out in bare feet and locking the door behind me. Despite my grunting and cursing, I couldn’t make the key work in our glass-front door, a German model built to prevent drafts. The lock in the sliding back door also refused to give. So there I stood in the freezing cold, wondering what we had gotten ourselves into. We initially wanted a three-bedroom condo in Cambridge so we could be near my husband’s family. But every place that caught our eye also caught the attention of at least 10 other bidders. We would have loved to have stayed in Jamaica Plain, but the competition was almost as fierce, even for humble fixer-uppers. Throughout our search on real estate websites, I kept seeing one strange-looking listing in Fort Hill. The house was still under construction, and the only pictures online were of drawings. But I loved the simple, clean look of the slanted roofs, wide windows, and cedar siding. The builders, who had formed a company called Placetailor specializing in the design and construction of environmentally friendly homes, described it as “New England Modern.” And it had parking! And, yes, a bicycle rack. “We’d prefer you biked,” the sellers remarked. The house was just a shell. There were no windows, but the wide rectangular shapes cut out in the master bedroom and the exposed back wall in the kitchen promised sun and warmth. The walls had yet to be painted, but they were 17 inches thick, the better to trap the heat from the sun shining through our huge windows, Travis explained. Solar panels on the roof heat water. Your heating bills will be reduced to almost nothing, they promised. That sounded wonderful — our drafty condo in JP cost between $200 and $300 a month to heat. But the idea of heat staying trapped inside also made me realize that dead air would remain with it. As if reading my mind, Declan explained that a special vent system would filter out stale air and draw in fresh air. You’d just have make sure you cleaned the filter every six months, he said. The place would run on electricity: Two small Mitsubishi devices, one on the first floor, the other on the second floor, would supply both heat and air conditioning. 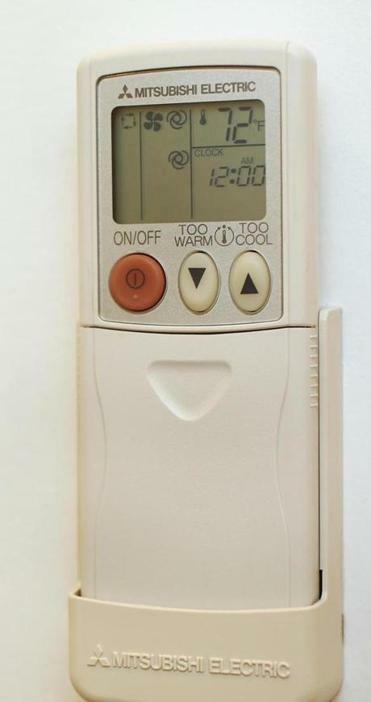 You’d use them about half as much as you would use a regular heater and air conditioner, Travis said. The sun would provide in the winter, they intoned. In the summer, keeping the windows open would bring in cool night air that we could trap in the morning by shutting the windows. The water would be heated by solar panels, backed up by an in-tank electric coil. We were tempted, but it wasn’t until a few weeks later, when the walls had been painted and the kitchen was in the final stages, that we asked our broker to draft an offer. The grueling winter also made an energy-efficient house especially attractive. We moved in on March 1, and panic quickly set in. I was intimidated. 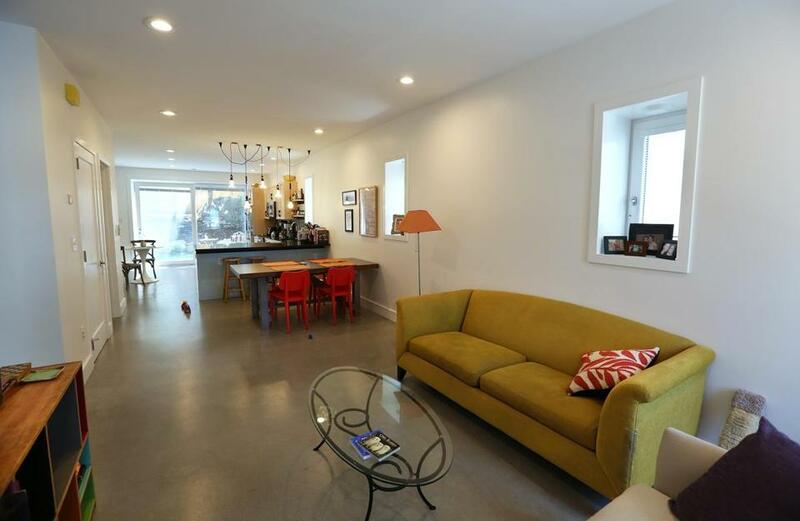 How would those tiny machines heat/cool 1,700 square feet of house? The concrete floor was freezing. Would it really heat up over time as Travis had promised? Our first day there, we contacted him at least three times — first because of my key fiasco. Turns out I had not turned the key enough times in the lock. An hour later, my husband and I stared wildly at each other when we heard a loud beeping in the kitchen. My husband called this time. That sounds like the fridge, Travis said. You must have left the door open. It has an energy-saving alarm that’s triggered when morons start wasting electricity, he said, though he phrased it much more nicely. Triple-pane windows keep out humidity and cold, as well as noise. It got less humiliating after that. Soon, we figured out how to operate the Mitsubishi machines. During the first month, we relied on the heat more than we’d planned to because winter stubbornly refused to go away. But by April, Travis’s prediction about the floor came true. The sun shining directly into the kitchen warmed the concrete floor, which, unlike regular floors, has a layer of gravel and 8 inches of foam insulation beneath it. On cool mornings, we no longer had to wear socks to stay warm. Placetailor was right about the energy bills. At our greediest energy consumption, they are a sixth of what we paid in our old place. The best part has been the quiet — the thick walls and our German windows and doors don’t just keep out cold and humidity. They keep out noise. At night, when our neighbors stay up late talking or when they set off firecrackers around July Fourth, we need only shut the windows. With nine homes finished, Placetailor is almost done building two town houses at the top of Fort Hill; more projects are in the works or in the planning stages. The company has taken a special interest in Roxbury, a neighborhood Declan said he likes for its diversity, liveliness, and available land. I walk by the new construction often to watch its progress. If the next owners can figure out the doors faster than we did, they should be happy. Concrete floors, atop layers of gravel and insulation, stay toasty in winter. Remote controls operate the two small Mitusbishi units that provide heating and cooling when needed. 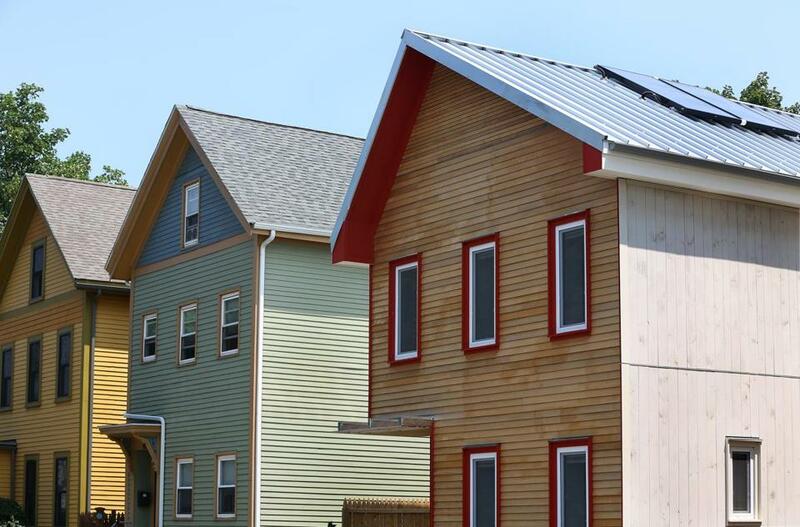 Though there are thousands of passive homes in Europe, the number of certified and pre-certified structures in the United States stands at about 120, most of them single-family houses, but some of them multifamily structures or commercial buildings. Still, that’s a big jump from 2012, when there were only about a dozen in the United States, according to Michael Knezovich, spokesman for the Passive House Institute US, which certifies the homes. (Not included in the count, Knezovich points out, are homes built to the passive standard but not certified, like the one featured here.) The increase, Knezovich says, is due to developers seeing value in formally validating homes as energy-efficient and home buyers becoming familiar with the passive home concept. Maria Cramer is a Globe reporter. Send comments tomaria.cramer@globe.com. Follow her on Twitter @globemcramer.